This page includes a leprechaun with his shillelagh, the always elusive black pot filled with gold, a very pleased leprechaun smoking a pipe and a happy Irish gentleman drinking green beer. Not sure why he's drinking in the forest but he looks cheerful. However, there is a transparent version so you may place him in any setting you wish. 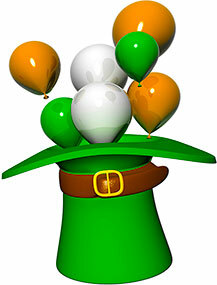 Irish hat and balloons in the colors of the Irish flag. Happy St. Patrick's Day Leprechauns and clover. Irish guy drinking green beer. Happy St. Patrick's Day! Happy St. Patrick's Day smiley face. 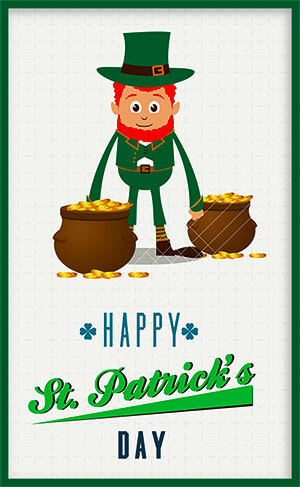 Happy St. Patrick's Day with leprechaun and lots of gold. Hat with Irish Flag on top clipart. 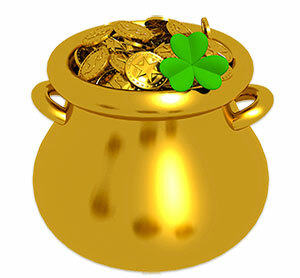 Leprechaun with shamrocks clipart image. Welcome with shamrocks and spinning shamrock animations. 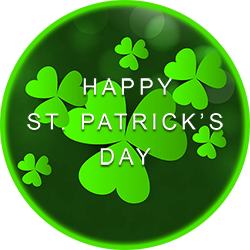 Happy St. Patrick's Day with clover - PNG with transparent background. Pot of gold with a shamrock. Happy St. Pat's Day with clover and animation. Happy Saint Patrick's Day with beer, horseshoe and gold plus an Irish rainbow. Happy St. Patyrick's Day with clover. St. Patrick's Day on black with falling shamrocks. Saint Patricks Day on a field of shamrocks. 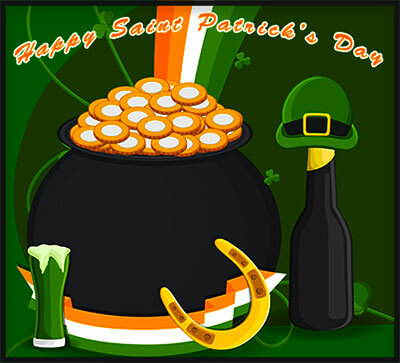 If you use our Saint Patricks Day clipart please give us credit.